Treatment is an integral part of any recovery process. It offers a number of major advantages that can make it much more realistic to achieve sobriety and to focus on beginning to evaluate where you are in life and what must be done in order for you to continue living a happy and clean life. In treatment, recovery is naturally a large part of your life. There are meetings with therapists and group activities. There are also no ways to find and use drugs that may lead to a potential relapse. Of course, the goal of treatment is to find the tools necessary to live life after treatment without the use of drugs or alcohol. Here are five ways that recovery may continue long after treatment is finished. Recovery is not a short term action. It is a way of life. Successful recovery means constantly finding inspiration and staying mindful of the ways in which you can continue to live a healthy and safe life. One great way to continue the education that begins in treatment is to turn regularly to the Bible or literature about recovery for inspiration and ways in which you can continue on the path of health and well being. A habit of reading keeps your mind stimulated and open to the many ways in which you can continually grow as a person. In treatment, your schedule is more or less set for you. Meetings with your therapist are at a certain time, as are twelve step meetings or other group activities. Once you leave treatment, it is up to you to continue meeting the obligations that will help you stay healthy. This often means meeting with your therapist or twelve step group even when everything seems fine. Maintaining sobriety is about a continued habit of keeping your health as a first priority. Meditation is an important part of treatment for many people because it offers a chance to quiet the mind and to recognize thoughts and impulses as they come up while realizing that not all thoughts and impulses must be acted on. Prayer is a largely valuable tool in continued recovery because it helps strengthen your relationship with God, who gives you the guidance you need to make the choices that will help you continue to live a clean and sober life. 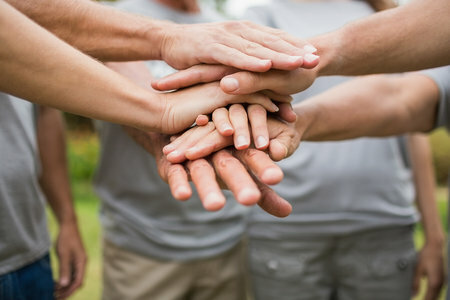 A support group of other sober people gives you the chance to share any experiences you have related to your sobriety. It also offers the chance to listen to the experience of others and to be a good friend while gaining further insight into where you are in your own journey to sobriety. Cultivating a social circle of other addicts in recovery is a great way to engage in activities that are fun and exciting and do not include the use of drugs or alcohol. Like maintaining sober friendships, committing yourself to regular acts of service gives you the chance to surround yourself with people who will be a positive force in your life. Acts of service have been shown to increase one’s sense of self worth and are tied to feelings of happiness. Helping others in recovery is a great way to remind yourself of the principles of recovery and staying clean. Try to help those who are not as far along in recovery as yourself and make an effort to make everything you do a chance to grow as a person.